Upon arrival at Kopi Doki (Kopi Doki) Guest Haus, (click here for the short review of it hehe), we immediately unpacked our things and prepared for lunch. 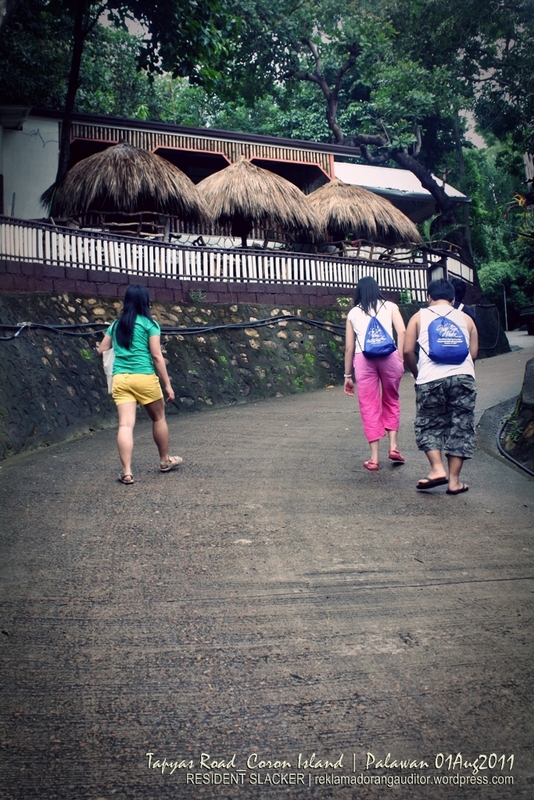 We also prepared our things for the Day1 activities (hiking to Mt. 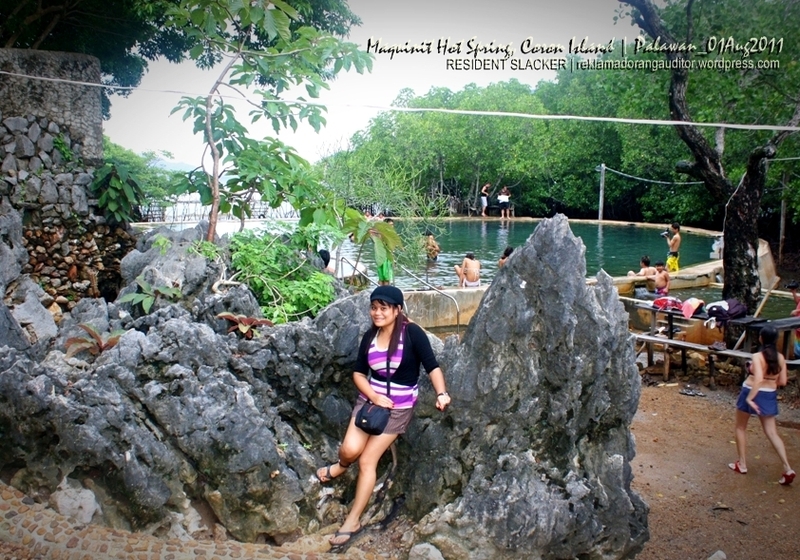 Tapyas and dipping into the Maquinit Hotspring). 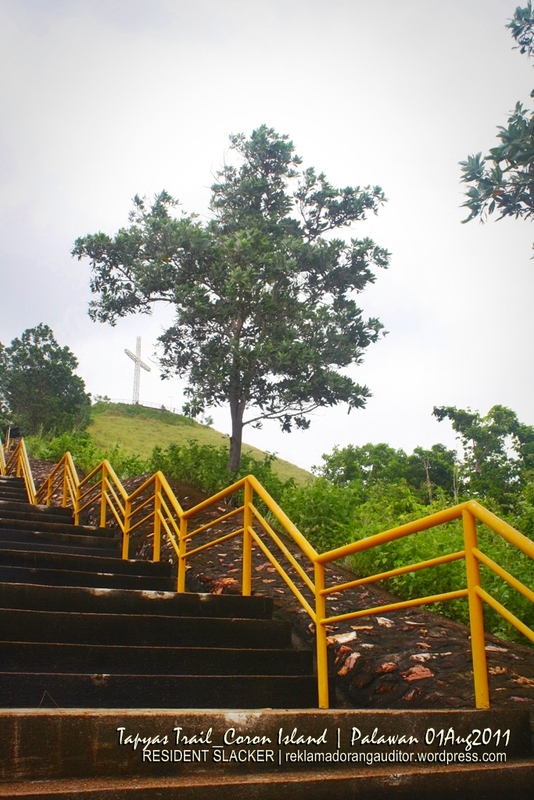 We started off by hiking along the Tapyas Road, a few meters away from the first step of the paved “stairway to the big cross”. 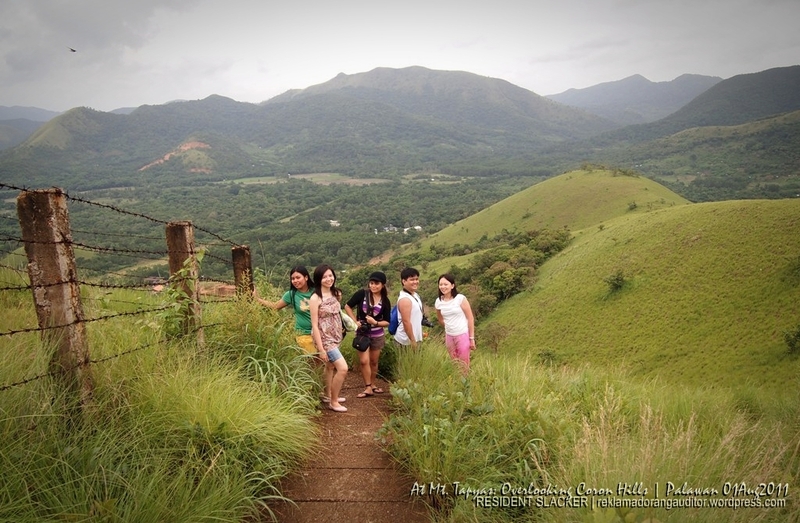 As we went along the trail, we were informed by Ate Shawie (as we named her hehe; her name’s really Sharon), our tour guide, that it will take us about 734 (if i heard it right hehehe) steps before we reach the peak of Mt. 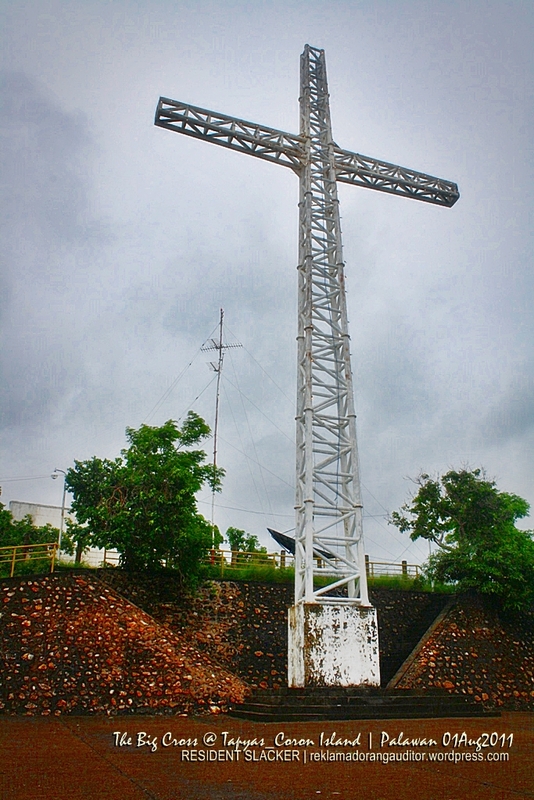 Tapyas, where the Big Cross is situated. 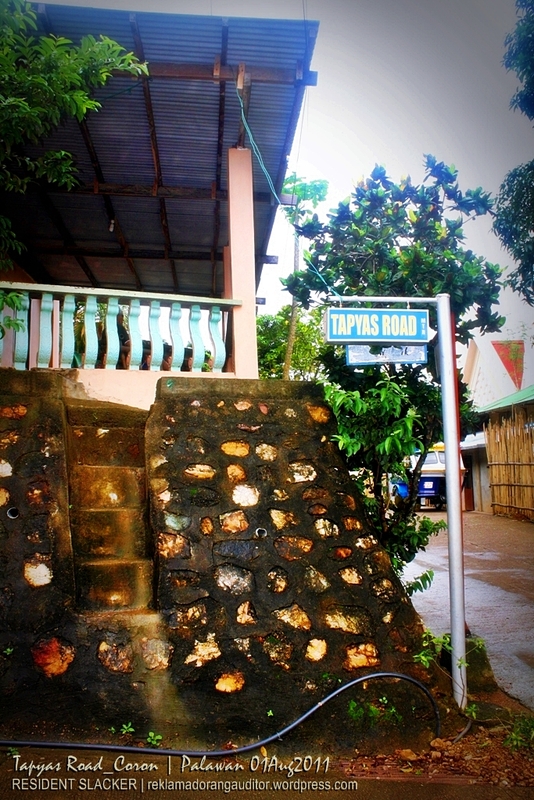 It was called Tapyas because accordingly, part of the mountain was ripped off (na-Tapyas in Tagalog) when a bomb was dropped (and exploded of course) during World War II. 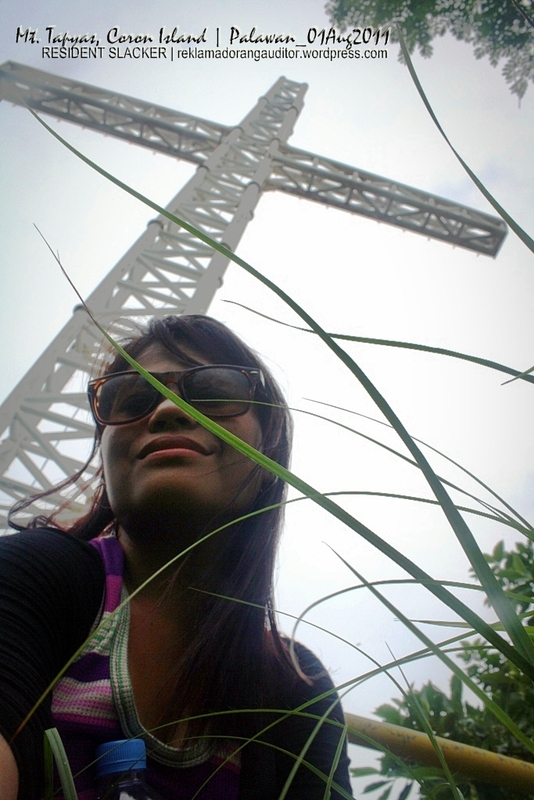 And the Big Cross? 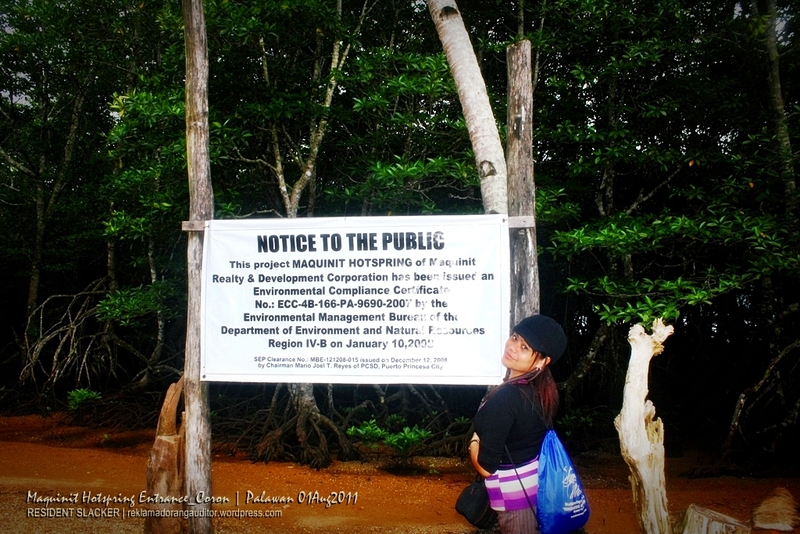 Well, accordingly, it was a gift to the town from Governor Reyes of Palawan, a local of Coron. 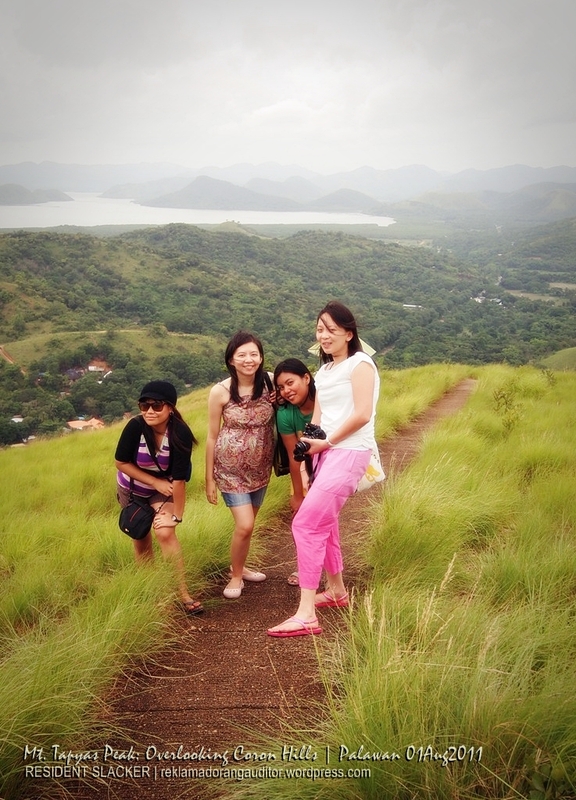 It is said that the Tapyas viewdeck is one of the best spots in Coron where you could have the magnificent view of the sunset. 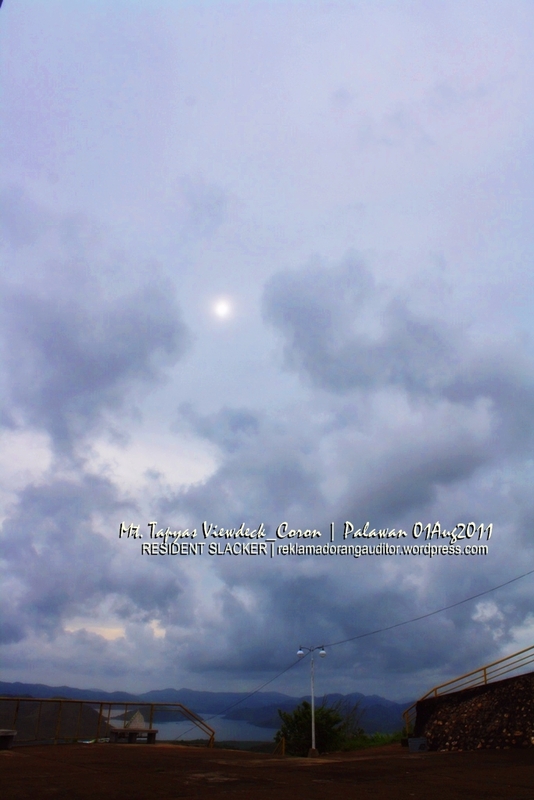 Too bad for me, we were not able to experience a beautiful sunset because of the (again) bad weather! (hmp! 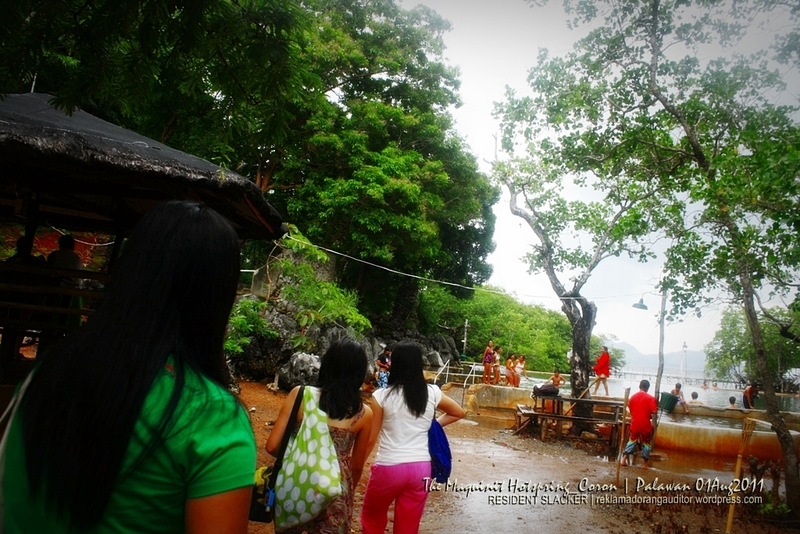 sunud-sunod na bagyo kase nung week ng trip na ‘to!). 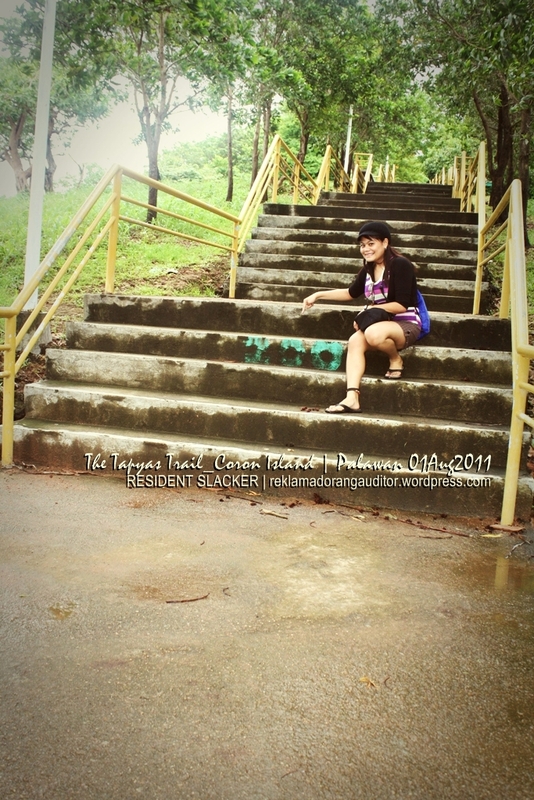 After a few minutes of resting and cam-whoring at Mt. 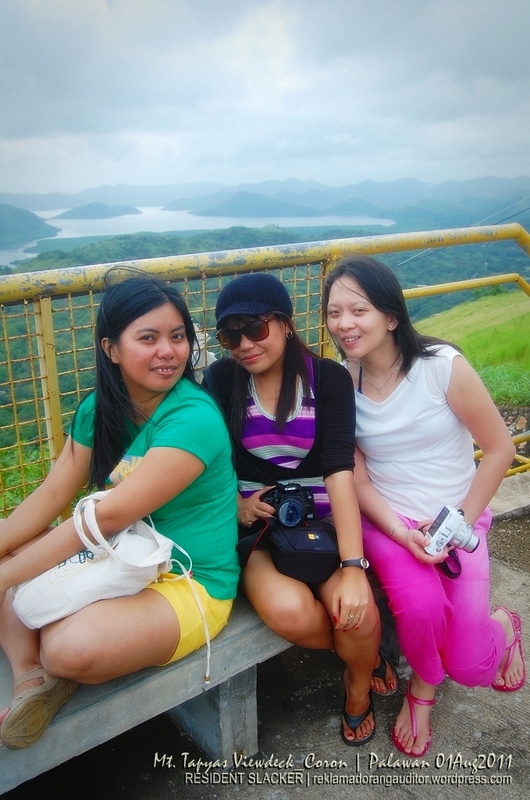 Tapyas’ viewdeck, we went at the other side of the mountain where we had a view of the Coron Hills. 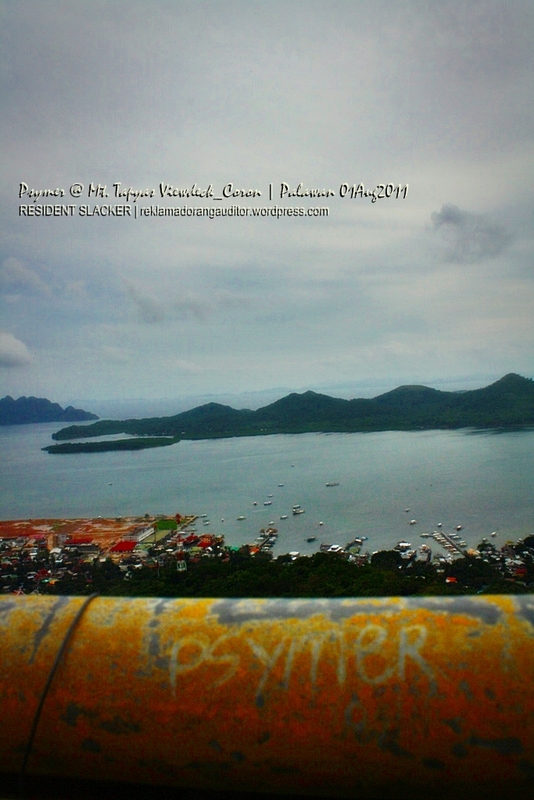 I was amazed by the sight! :) Really! 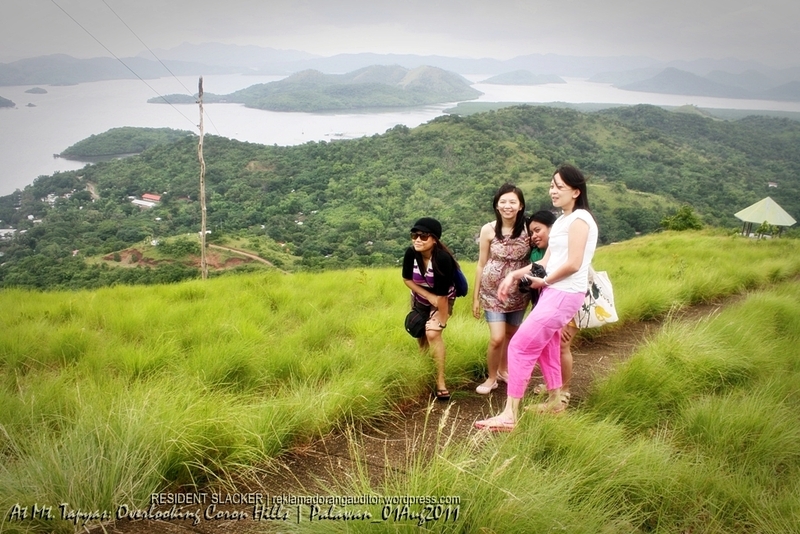 You could really feel so close with nature with the fresh green color of the Coron hills. 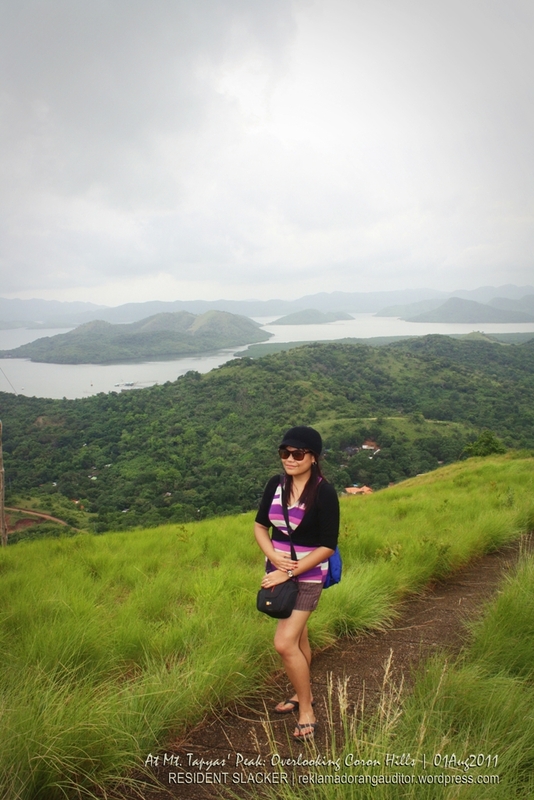 According to Ate Shawie, this is Coron’s version of the famous (Chocolate) Hills of Bohol hehehe (pwede..I’ve never been to Bohol, though! 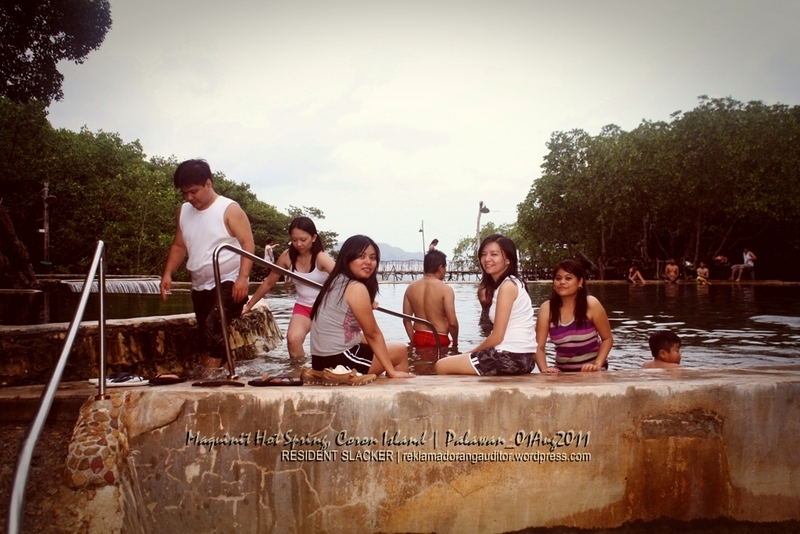 hehe still in my list for 2011 trips)! 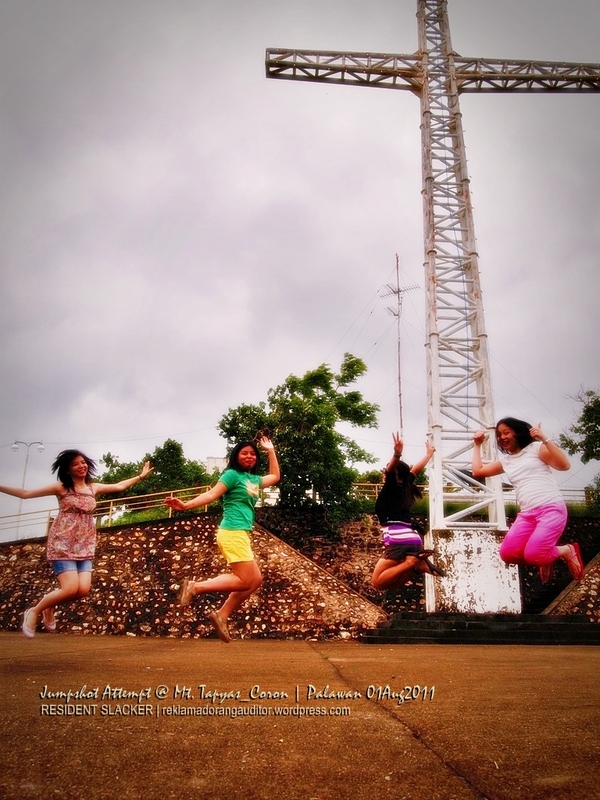 After we’re done with all the cam-whoring at Tapyas, we started off with our hike back to where we started. The hike down the mountain was easier and faster, but for me, it was a little tormenting because I felt a sudden strain on my right knee, the same pain that I felt during the Batad (Banaue) and Fidelisan (Sagada) trekking; and I felt it when going down the trail… I guess there’s something wrong with my right knee..tsk tsk tsk! Anyway, when we reached the end of the trail where the tryc was parked, we immediately headed to Maquinit Hotspring; it was a 15-minute smooth and rough ride from Tapyas. The place is surrounded with mangroves, the way from the entrance to the hotspring was somewhat muddy (it’s not cemented), well, due to the bad weather that time. 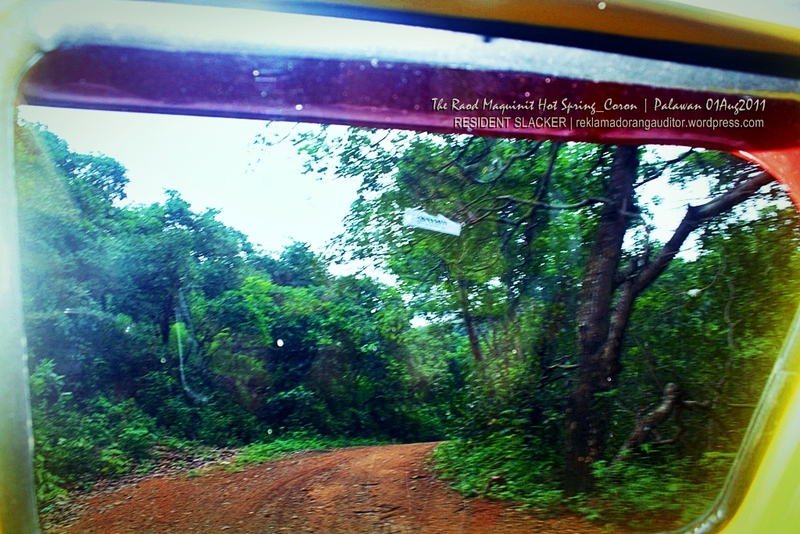 The place is said to be privately-owned and/but poorly-maintained, despite the increasing entrace fees that management charges :(. Anyway, when we arrived at the place, there were already a few people enjoying the warm water of Maquinit. 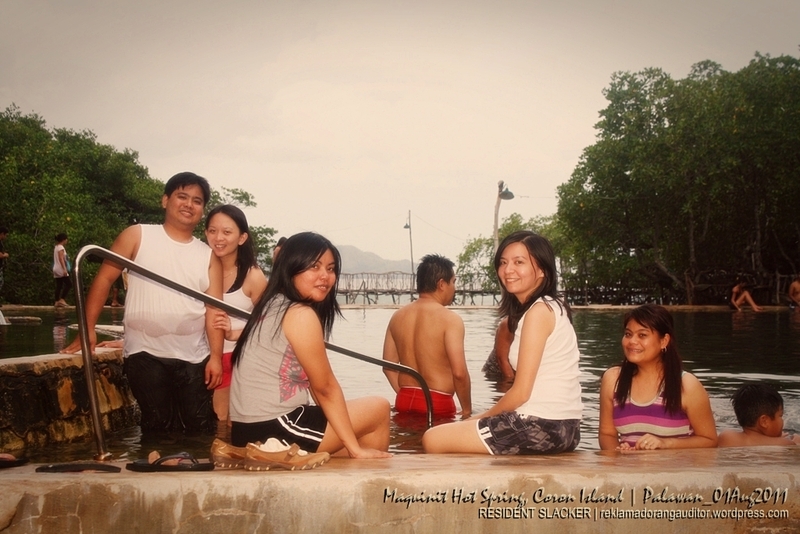 And after a few minutes of rest, we then tried the warmth of the hotspring by dipping ourselves into the pool! 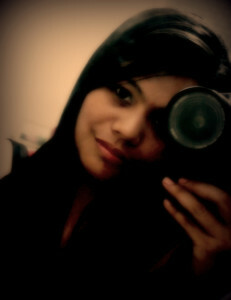 :D relaxing! Food tasted good and the prices were within our budget naman.